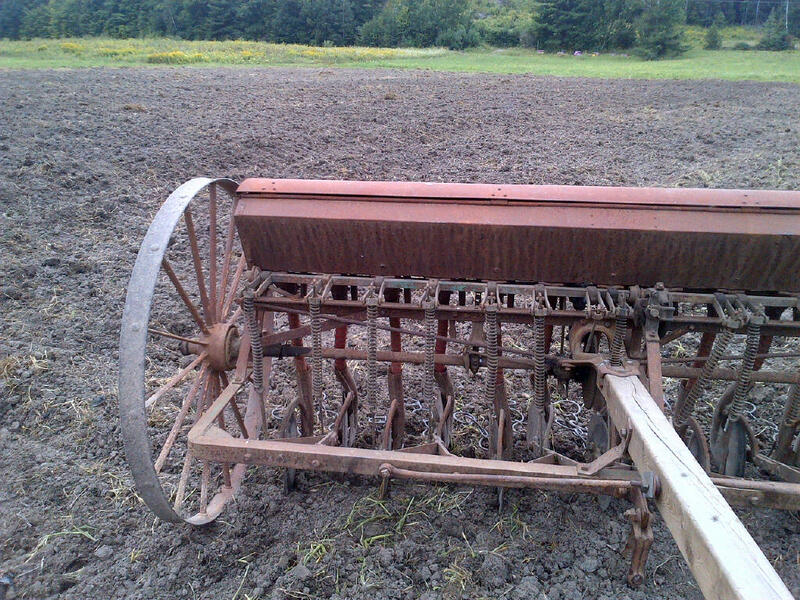 This seed drill is an antique from the horse-drawn era, but it still gets the job done! 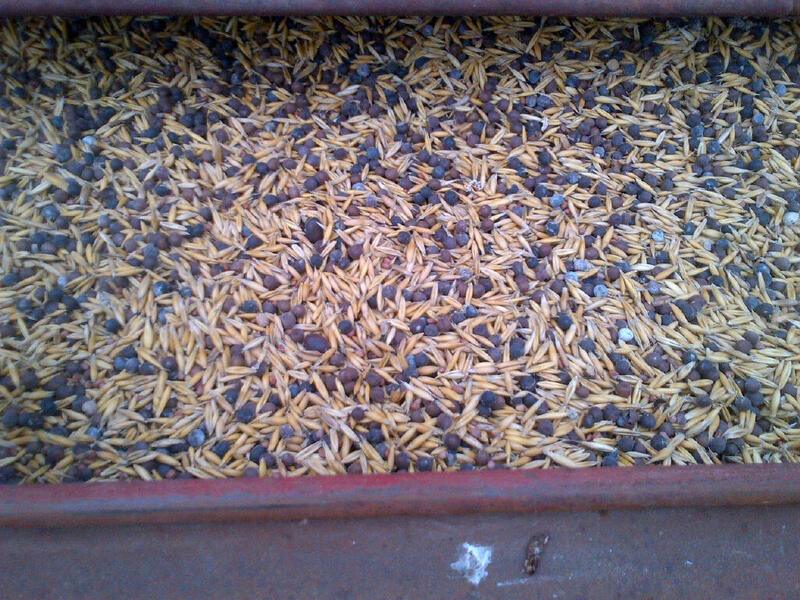 This morning I sowed a mix of oats, peas, and radish into a field I ploughed recently. By doing primary tillage this time of year, I’m giving the soil life time to recover before winter sets in. Establishing a cover crop now will feed this soil life late into the fall and protect the soil from wind and water erosion. My hope is to be able to transplant next year’s vegetable crop into the cover crop residue with zero or minimal additional tillage. Ha! One person’s “lazy” is another person’s “efficient”!